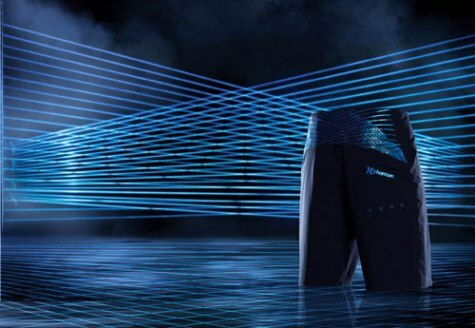 We wish that there was as much innovation going on with laundry that could fold itself as there is in boardshorts. Saturday you can witness the launch of (and hopefully own a new pair) of Hurley Phantom boardshorts with Nike Flywire. What’s all of the excitement about? Hurley’s limited-edition boardshorts are said to be so light and comfortable you won’t even know you’re wearing a thing—120% stretch, super water repellant, and construction like you’ve never seen. Surfside Sports in Costa Mesa is going all out for Hurley’s Flywire launch Saturday from 4 to 6 p.m. It’s a major parking lot event that Surfside is famous for (that and being a one-stop shopping surf, skate and snow emporium). Stop by to meet Hurley athletes, receive giveaways, Phantom prize packages, and enjoy free music and food. Don’t forget to bring in an old pair of trunks, you’ll receive a pair of limited edition Flywire trunks at half price! Plus, buy any Phantom boardshort and receive a second pair of Phantom P60’s free! In addition to Phantom prize packages, you’ll also have an opportunity to win a trip to Indo with Rob Machado and the Hurley Team. Surfside Sports at 233 E. 17th Street in Costa Mesa. 949.645.4624. Thanks to Visionaries, admission is free on the second Sunday of the month at Orange County Museum of Art in Newport Beach. Families are invited to spend time together enjoying art from 11 a.m. to 4 p.m. This Sunday, a springtime celebration includes art projects, dance, song, children’s films co-presented by Newport Beach Film Festival, and interactive art installations including Charles Long: 100 Pounds of Clay. 850 San Clemente Drive in Newport Beach. 949.759.4917.